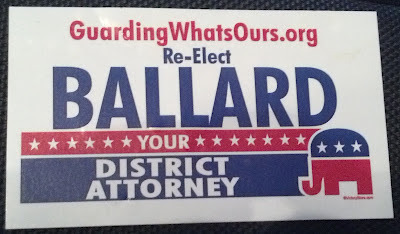 Screams from the Porch: Ballard for district attorney? What the . . . So, I was in the Atlanta area (a little south actually) for part of the weekend. And I saw this refrigerator magnet. Actually, I'd seen it before, years ago, I think, but I took a picture of it this time. Thought it funny. Figured I'd share it. Heh. I have to ask - what's it mean if the elephant's facing to the left? Paone - it indicates a left leaning Republican! Duh! Partisan political theories never cease to amuse me. Ha ha. 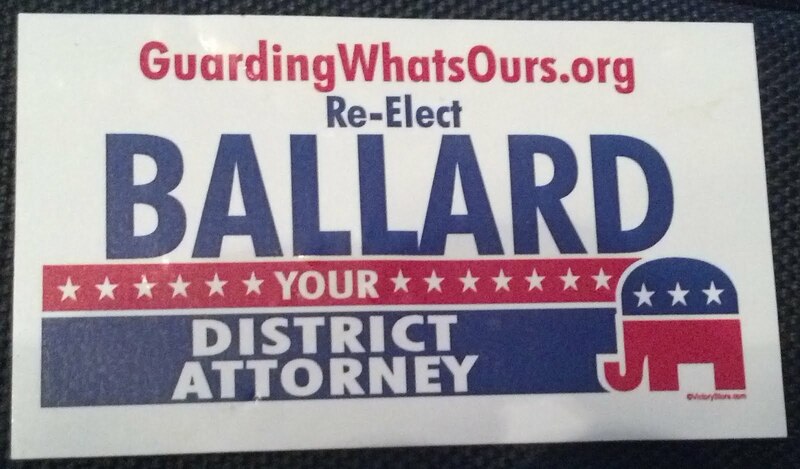 Ballard for Judge.